“Nikinci” Testing Ground has been established by the decision of Deputy Federal Secretary for National defense on 3rd May 1951, as a “Central testing ground of the General Directorate of ammunition industry”. By forming the ArmyTechnicalTestingCenter on 22nd March, testing ground “Nikinci” was incorporated into TechnicalTestingCenter”. The Centre takes an important place in the history of scientific research in the field of armament, since almost all the research and studies are done on the Testing ground itself. In addition, the Testing Ground has carried out the validation of the majority of the armament that was developed in the last fifty years, as well as acceptance tests of their serial production of army purposes. 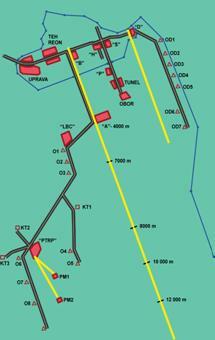 The Ground is located on a very suitable flat terrain near the village Nikinci, 85 km from Belgrade and 20 km off Sabac. The crucial factors for selecting the site for the Ground were favorable climatic conditions, the course of the main directrix north-south to the exit on the left bank of the Sava river, the proximity of the road and rail network and uncultivated marsh land. The entire area of the Centre occupies 3060 ha. The Ground is a competent and modernly arranged regional center for testing of modern weapons and military equipment, comparable with similar foreign testing grounds in the developed countries. 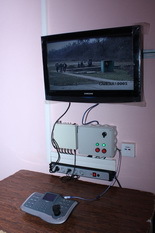 - Effectiveness of fire control systems, aiming and monitoring devices. For all the tests carried out, the Nikinci Testing Ground performs data processing using their own computer network and software and also publishes test reports. Intended for artillery and rocket weapons firing tests to the maximum range of up to 12,200 meters as well as for the testing the fuses and accuracy on the vertical target. On the “A-B” directrix, there are two placements and ten firing positions arranged outside the ground, from which, depending on the range, tests can be carried out using mobile measurements equipment. The maximum range is 24 km. Intended for mortars and artillery firing tests of up to 105 mm caliber, whose range does not exceed 6.000 m. On directrix “D”, there is one placement and one firing position. On directrix “P”, there are two placements, two firing positions, two tunnels (grenade stoppers), area for grenade fragmentation testing in “OBOR” and placement for proximity fuse testing. Intended for testing the anti-tank guided rockets with the range of up to 3,000 m. At ATRTG there is a launch site, the command facility, storage and rockets testing facility and three armor-piercing targets (at 500, 1.000 and 3.000 meters). The Ground has watchtowers (stationary facilities in which, during testing, there is a person using the measuring equipment to record or observe missiles) of which ten watchtowers are positioned along the “A-B” directrix, and seven along the “D” directrix. For the purposes of processing the results of the firing, there is a local geodetic coordinate system, with the Safety Information System being developed. There are arranged placements on directrixes with all necessary facilities for the accommodation of personnel, as well as for climatic chambers, storage and preparation of ammunition and watchtowers for observation of projectile effects on the target.